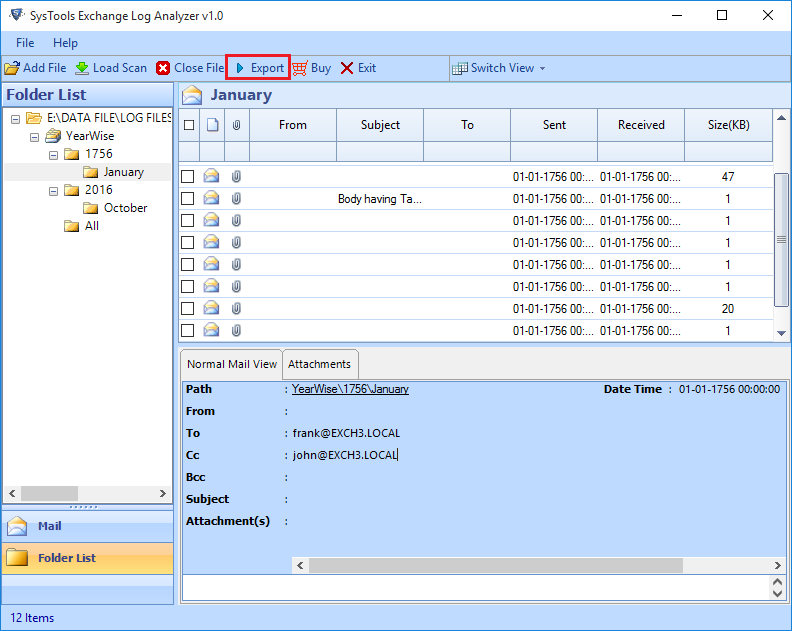 The Exchange Log Analyzer Supports MS Exchange Versions 2000, 2003, 2007 (32 bit or 64-bit) to view Exchange 2010 transaction logs. Exchange Log Analyzer software scans and load complete data of Exchange log file. After scanning, it also provides an option to save loaded Exchange log file. After complete loading, this tool generates an instant preview of log file data. 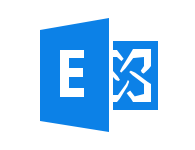 Exchange Log Viewer tool allows users to export loaded Exchange log file into four different file formats such as EML, MSG, PDF and HTML. There is no file size limitation imposed by this tool. A user can view and export Exchange log file of any size. Exchange Log Analyzer software keeps the integrity of data while exporting Exchange log files. This software does not make any alteration or manipulation in the Exchange log file during or after the export process. 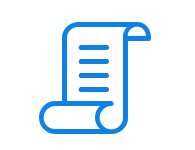 Exchange Log Viewer tool supports Exchange log files of both Exchange server 2003 and Exchange server 2007. This software is also compatible with Windows 10 and all below versions Windows Operating system. Note: If the demo version is not working on your pc, please inform us via Live Chat or Email. If you will help us to troubleshoot the issue, we will provide you Full Version Free of Cost. Explain how Exchange Log Viewer Tool Works? Step 5: To save any data item, select the data item and click on Export button to save as PDF, EML, MSG or HTML file format. Is there a need to have Live Exchange Server environment to view or export Exchange log files using Exchange Log Analyzer? No, there is no need to have Live Exchange Server environment to open or export Exchange transaction log files using Exchange Edb.log Viewer. 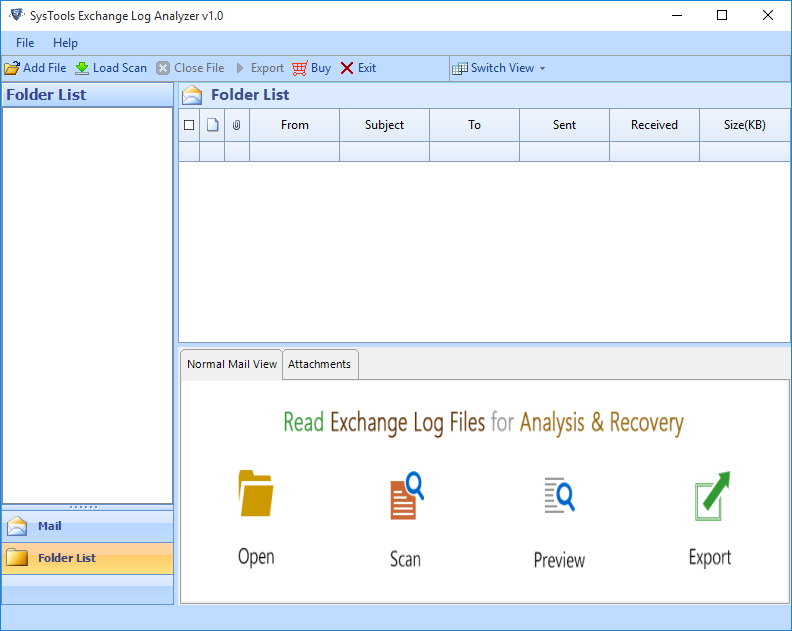 Does Exchange Log Analyzer software maintain the integrity of data while exporting log files? Yes, Exchange Log Viewer tool retains the data integrity during or after the exporting process. I am a Mac OS user and I want to open Exchange log file on my Mac OS based machine. So, I want to know, does Exchange log viewer software support Mac OS or not? No, Exchange Log Analyzer does not support Mac OS platform. 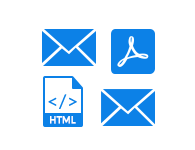 It is a completely Windows-based utility and can only be run on Windows platform. Does Exchange Log Viewer tool provide an option to save Exchange log files after scanning and loading the complete data from Exchange log file? 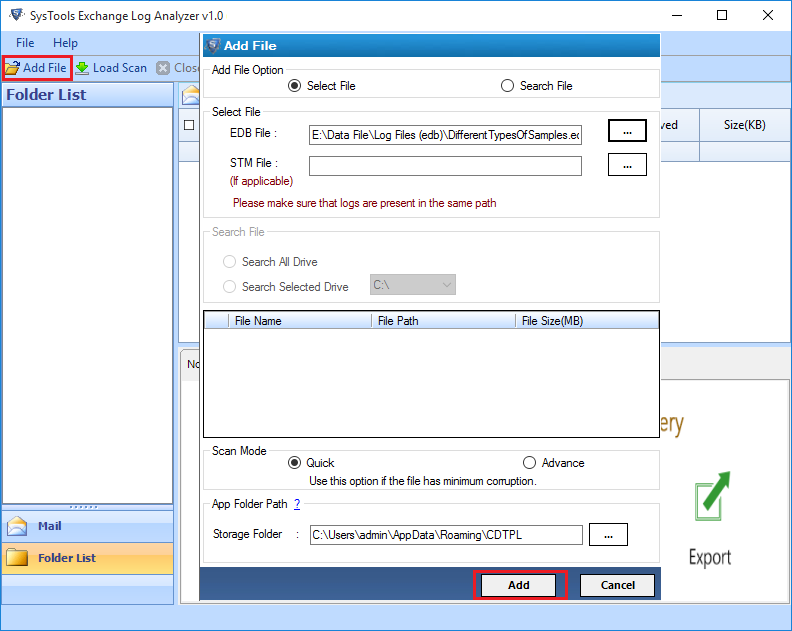 Yes, Exchange Log File Analyzer software provides an option to save Exchange log file after scanning and loading the complete Exchange log file data. 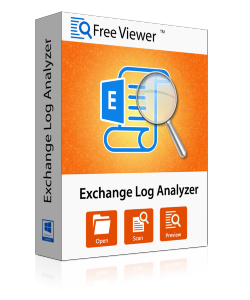 Is Exchange Log Analyzer software available free of cost? Yes, Exchange Log Viewer tool is available free of cost and it can be downloaded from the official website easily. I have a large sized Exchange Log file and I want to view this file using Exchange Log Viewer. So, I want to know, is there any file size limitation imposed by Exchange Log File Analyzer? No, there is no file size limitation associated with this tool. A user can open Exchange log file of any size using this software. "The best thing I like about Exchange Log Analyzer tool is its simple and user-friendly interface. It is quite impossible to view or export Exchange Log File on Windows platform. However, this tool made that possible within a few mouse clicks. It is a highly efficient and reliable solution for a user like me. Great work was done by the development team. Thanks for developing such a simplified tool." 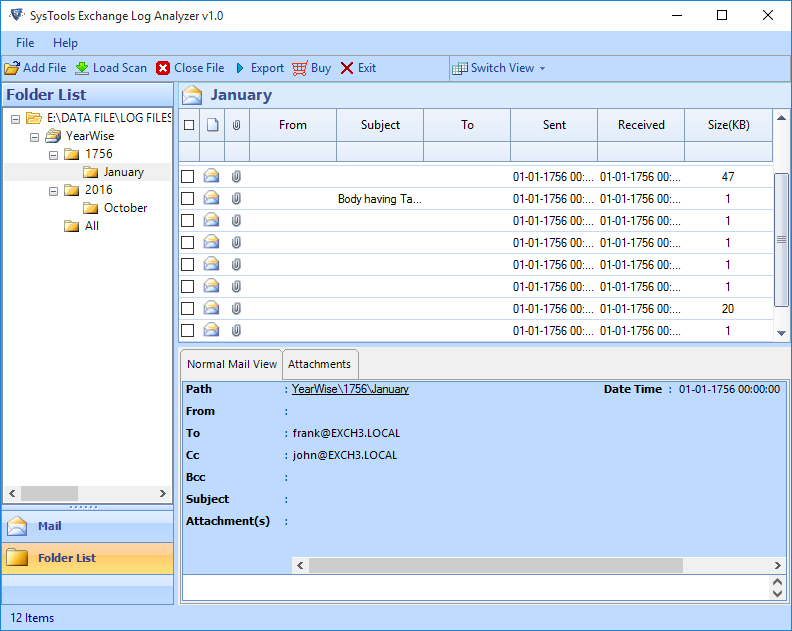 "Exchange Log Viewer is an amazing software because it offers four different file formats such as EML, MSG, PDF, and HTML to export Exchange Log files. This tool also maintains data integrity during or after the export process. There is no file size limitation imposed by Exchange log File Analyzer, so the user can export Exchange log file of any size. I am thankful to developers for such an awesome development." "I had some corrupt Exchange Log Files that I was unable to open. To access Exchange database, I need to view those files. Then, one of my friends suggested me Exchange Log File Analyzer tool. I am really happy that this tool helped me a lot in repairing the corrupt log files. I am really thankful to FreeViewer for developing Exchange Log Viewer tool." 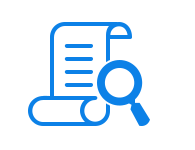 "Exchange Log Analyzer software is absolutely a fabulous software because it supports log files of both Exchange server 2003 and Exchange server 2007. This tool is also compatible with all the versions of Windows operating systems such as Windows 10, 8, 8.1, 7, XP and Vista. The users can also save exported Exchange log file at the desired location on their system." Copyright © 2007-2019 FreeViewer Software. All Rights Reserved.